The KPI Institute’s Performance Management in 2014: GCC Special Edition report followed one of our most important editorial rules, namely the triangulation of opinions gathered from practitioners, academics and consultants alike. 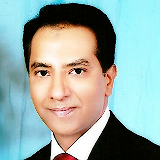 In 2014, Mohammed S. Hyder, Executive Manager – Decision Support & Performance Management at Etihad Etisalat Mobily, Saudi Arabia, was one of the practitioners who offered us rich performance related insights. The KPI Institute’s Performance Management in 2014: ASEAN Special Edition report is built on the belief that a balanced approach in such research endeavors can only be achieved by triangulating the opinions of practitioners, academics and consultants alike. 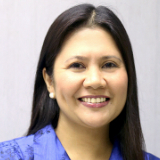 In 2014, Lauren Borja, Head of Corporate Strategic Planning working with BBV, Philippines Air Force, was one of the practitioners who offered us rich insights into performance related research and trends. Th e KPI Institute’s Performance Management in 2014 report is built on the belief that a balanced approach in such research endeavours can only be achieved by triangulating the opinions of practitioners, academics and consultants alike. 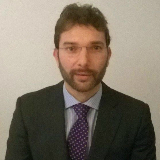 In 2014, Luís Gargalo, Management Control Systems Department Coordinator for Wayfield, Trading Internacional, SA – Grupo Refriango, Portugal, was one of the practitioners who offered us rich insights into performance related research and trends. The KPI Institute’s reports Performance Management in 2014 and Performance Management in 2014: GCC Special Edition continue the standards established by the previous editions, which consist in gathering and compiling opinions from practitioners, academics and consultants alike, in order to gain a balanced perspective on the state of the discipline. 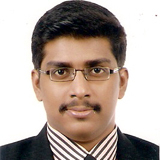 In 2014, Mr. Jarlath Fernando, Analyst – Strategy Planning at Dubai World – Imdaad, UAE was one of the professionals who offered us rich insights into Performance Management practice.